According to the Gallup Organization, two out of every three Americans approve of the role of labor unions in our society. So why is it that so many people who would like to be a union member aren’t? The answer is simple: they need to be educated! Most employees who would like to organize a union in their place of employment quickly find that management will heavily resist the change. They often hire union-busting lawyers and quickly get as much one-sided information against unions as they can. Throw in the fear of getting fired and the lack of understanding of an individual’s federally protected rights and the organizing campaign gets that much tougher. If only people would understand their rights under the law, they would quickly find that the campaigns of coercion and intimidation that some employers practice is against the law. Nearly every American has the legal right to join a union. The National Labor Relations Act guarantees it. The Act, written in the 1930s, was created to clearly define the rights of both workers and employers. Section 7 of the Act guarantees your right to join a union. Section 8 makes it an unfair labor practice for an employer to interfere with, restrain, or coerce you in the exercise of those rights. To view these sections of the Act, please click on the link below. Attend meetings to discuss joining the union. Read, distribute and discuss union literature. (Remember, you must do this in non-work areas during non-worktimes, such as lunch hours or break periods). Wear union stickers, buttons, hats, T-shirts or other items supporting the union at most worksites. Sign petitions or file grievances related to wages, hours, working conditions and other job related issues. Section 8 of the NLRA says your employer cannot legally punish or discriminate against any worker because of union activity. This means that an employer cannot threaten to fire, lay off, discipline or reassign a worker because of their union activity or support. 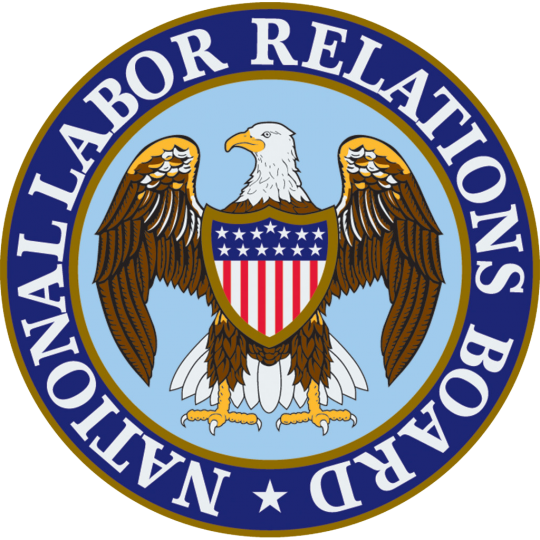 Please contact our Director of Organizing, Travis Martzahl by clicking on the link below.If you would like to file a complaint or learn more information about the National Labor Relations Board just click on the NLRB link below.